The largest manufacturers of smartphones- Samsung, is trying to expand its services. 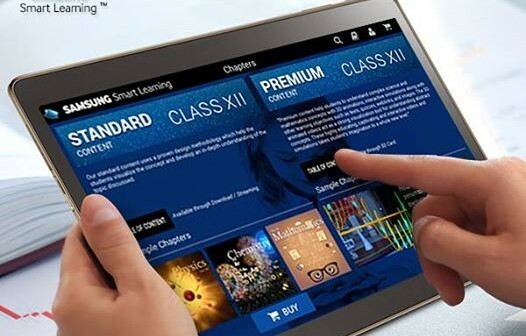 Recently Samsung India has introduced a digital education store for JEE aspirants and school students, which can help students to prepare for exams. 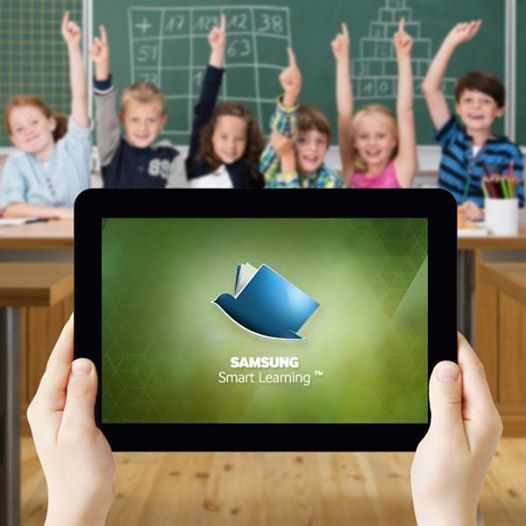 The education store was introduced under Samsung’s Media Solutions Centre division called Samsung Smart Learning.What is the digital education store? The digital education store is a virtual platform that is based on cloud technology. The virtual portal will be interactive and the student can easily grasp the concepts. 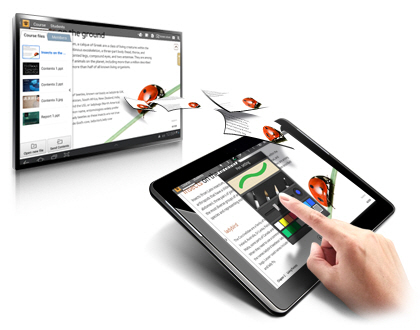 The smart learning online store will have study materials that can be accessed by students. Students preparing for competitive exams will also be benefitted by this service. Basically the digital education is an online service that will be available on all Samsung Galaxy tablets. There are almost 7000 stores in India that can sell the tablets with educational content in Galaxy tab, the number of stores will gradually increase to 10000. All the information are stored in a cloud server with online and offline access points. The education store will provide detailed description about the subject, extensive tutorials on each subject, and question & answer sessions. Samsung will also sell SD cards with the contents in it. It will be available in the Samsung stores. The digital store will support the students studying in CBSE board. 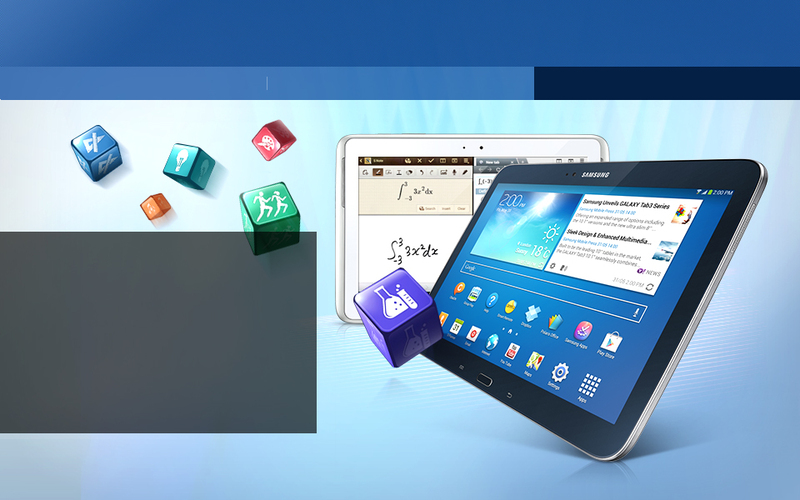 Samsung has partnered with the renowned Aakash group of institutes. The product is named as iTutor, which will be available in all the Samsung outlets in India. It will offer several tutorials, e-books and assessment questions for 8, 9 & 10th standard students. There will be support for medical & engineering aspirants. With an aim to transform the way of education in India, the smart learning digital education store by Samsung is a defining step. It is a glimpse of how the education system will function in the near future. How it will affect the students? This is a great news for the students. Samsung has given them a new and engaging way to study. Especially students studying in lower classes will find Science and Math more interesting, which is not a regular scenario in Indian households nowadays. No longer will smart phone be a bad influence for students as they can use it to study. This is something new to the students and first of its kind; this will bring a radical change in the way students are learning in India now. 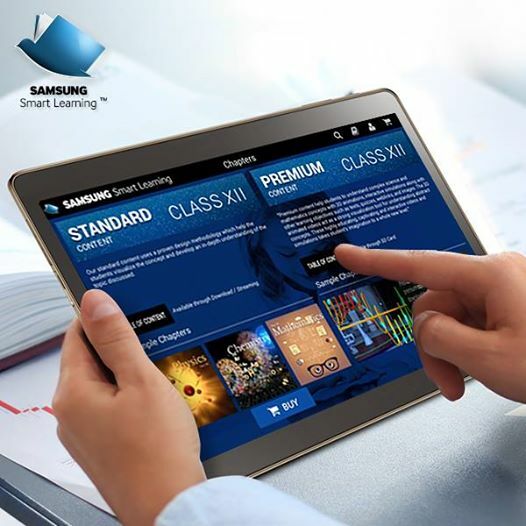 Currently Samsung is focusing on the CBSE syllabus but it has plans to include ICSE curriculum in its near future.In the upcoming years Samsung will provide educational material for higher studies.Samsung is looking forward to more tie-ups, and many institutions have approached Samsung. The objective is to reach 30 million students in India and even more in the near future.Well Samsung also has plans to implement this in other countries. The success in India will definitely be an assessment and this can be carried forward to other countries.